A young unsane women is involuntarily committed into a mental institution where she is confronted by her greatest fear. The movie has a visual style of immediacy that adds to intensity. In the thriller; Sawyer relocates from Boston to Pennsylvania to escape the man, her stalker, for the last two years. While consulting with a therapist, Valentini unwittingly signs in for a voluntary 24-hour commitment to the Highland Creek Behavioral Center. Her stay at the facility soon gets extended when doctors and nurses begin to question her sanity. Sawyer now believes that one of the staffers is her stalker and she’ll do whatever it takes to stay alive and fight her way out. The movie overall was very interesting with many twists and turns. It shocked critics and the movies audience when the film makers explained that most of the movie was filmed with an Iphone 7 plus. This opened new doors for the movie itself and film making. 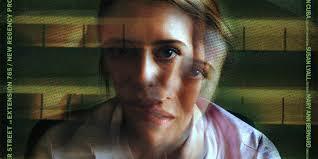 “Unsane” is a great example of a psychological thriller that comes to my mind. From beginning to end, the movie is interesting, and at times leaves the viewer amazed.